Inspiring and rich, INGREDIENTS unearths the roots of the local food movement and digs into the stories of the chefs, farmers and activists transforming our broken food system. This upbeat, beautifully-photographed film introduces us to the verdant farms and pioneering restaurants where good food is produced and served. From innovative farm-to-table programs in Harlem to picturesque sheep farms in Oregon’s Willamette Valley, INGREDIENTS shows the heart of an alternative food system – healthy, sustainable and tasty. Through interviews with world-class chefs such as Alice Waters and Greg Higgins and sustainability-minded farmers in Oregon, New York and Ohio, INGREDIENTS weaves an uplifting tale that is equal parts earthy rebellion and mouth-watering homage. 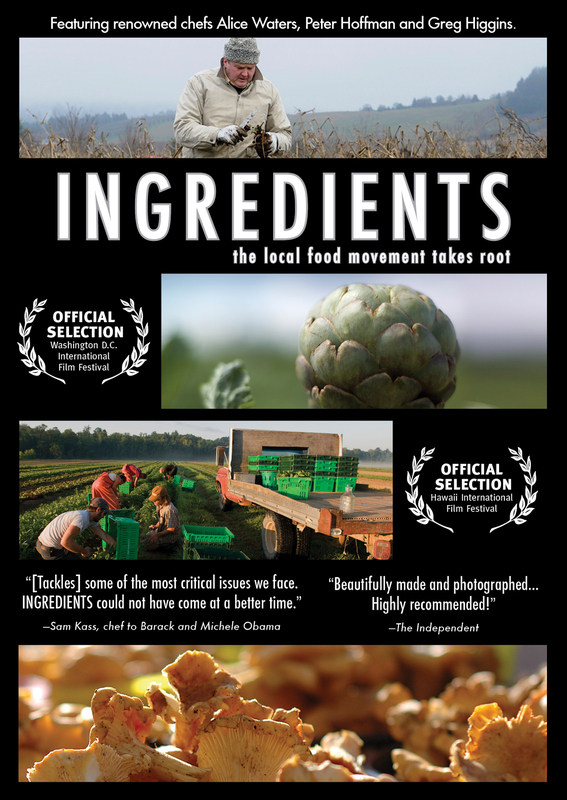 Narrated by Bebe Neuwirth and directed by Robert Bates, INGREDIENTS is a fun, open-minded film that will satiate both veteran slow-food fans and the uninitiated alike. © 2009 Optic Nerve Productions. All Rights Reserved. ©2010 New Video Group, Inc. All Rights Reserved. Marketed and distributed in the U.S. by New Video.